It’s one week until Christmas and I’ve just started my holiday shopping. The season’s nastiest virus is to blame for my tardy scramble, although I do tend to procrastinate when it comes to shopping. Are you in the same boat? Never fear, some of the best gifts are intangible, and therefore easy to acquire at the last minute if needed. Sending packages to friends and family afield is not always practical (think: backpackers) or sustainable. Even travelers who are in between journeys tend to dislike owning too much stuff – it inhibits the freedom to pack up and dash out the door when the next adventure calls. Heck, too much stuff? You don’t have to be a traveler to appreciate that sentiment. Here’s a few holiday gift ideas for travelers to fit this tricky bill: travel-centric, thoughtful, eco-friendly, and not taking up even 1 oz of precious luggage space. I called my family from an international phone in Thailand for Christmas almost a decade ago and it cost me about $35 for a 15 min call. Skype has totally revolutionized the way we stay connected with travelers and friends around the world – that same call on Skype today would be about 35 cents! 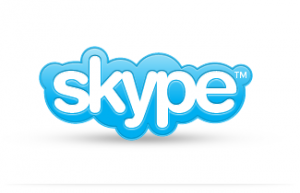 Skype-to-Skype calls are free, but Skype also offers a very low-cost option for calling any number, including cell phones and landlines, with just a WiFi connection overseas. Log on to Skype to buy a credit code that you can share as a gift. 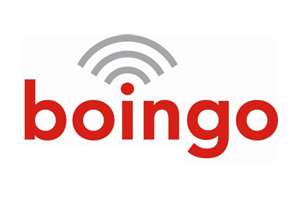 Boasting 600,000 hotspots worldwide, Boingo provides great internet access in many regions around the world. Currently, you can buy a new monthly subscription for $4.98 for the first 3 months and for a limited time Boingo will throw in a free Amazon gift card. Just make sure you check their WiFi directory to be sure they offer hotspots in your gift recipient’s area. Make the most of your in-flight hours with one of my favorite luxuries of the 21st century: in-flight WiFi. GoGo provides service on a good (and growing) number of major airlines with a variety of passes that don’t expire. GoGo gift cards can be delivered in eCard format right into the receiver’s inbox. Many travelers are touched deeply by the economic challenges they see so many people facing around the world and want to help out. Microlending (creating small loans for individuals around the world who need start-up funds for business) is a super-sustainable and fulfilling answer, since it empowers the borrowers rather than being just another short-term handout. I like the micro-lending site Jolkona because it engages the giver by providing proof of your impacts, such as notes and photos from the beneficiaries. 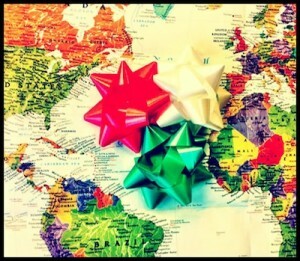 Jolkona offers gift cards so that the recipient can select the country/individual to support. 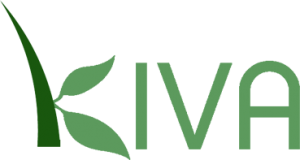 Kiva is a perennial favorite; they provide a gift card option as well. Language is a key to unlock the world for a traveler. These days, travelers almost anywhere can take online language classes with just an internet connection and a headset. Check out the online language learning site LiveMocha, where students can learn from native speakers of 38 languages, from Arabic to Urdu. Live instructor-led classes and private tutoring are available; buy tokens as credits for your gift recipient and they can use them as they wish. LiveMocha even has a special offer allowing United MileagePlus members to purchase full access to all their language classes using their miles. A donation to a non-profit doing good work in an area your traveler loves is another great way to show your support for meaningful travel and those in your life who engage in it. If you don’t already know which NGOs may resonate with your recipient, try a Google search for the region and/or the type of project you know would hit home for them (i.e. “Pakistan education non-profit”). Use GuideStar, a site that contains a database reporting on over 1.8 million federally-recognized non-profits, to vet your organization.